North Korea – a visit to the "Axis of Evil"
Recently, in the context of some discussion of the Bush regime, my step-son Jonathan pointed me towards several books on Korea. He said that Bruce Cumings is simply the best author writing in English on Korea. So, a quick trip to the local library and I had this compact little book in my hands. The book is organized around five topics: (1) the impact of the Korean War on North Korea, (2) the genesis of Korea’s nuclear programs, (3) the legend of Kim Il Sung, (4) daily life in North Korea, and (5) the current leader (dictator) Kim Jong Il. The text is not what one might expect of an academic from the University of Chicago. 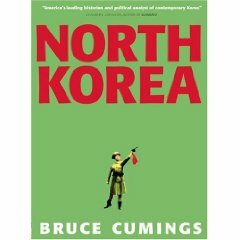 Cumings writes in an openly polemic style that is directed to providing maximum exposure to North Korea and our miserable knowledge of this country.